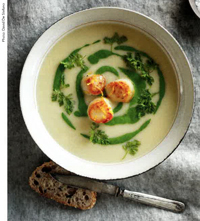 Celebrate Canada’s creative excellence with recipes created by Canada’s premiere chefs. Inspired by paintings and artifacts from our nation’s museums and galleries, the culinary creations represent the unique tastes of Canada with quotes from each chef and stunning photographs of the food, paintings and artifacts. 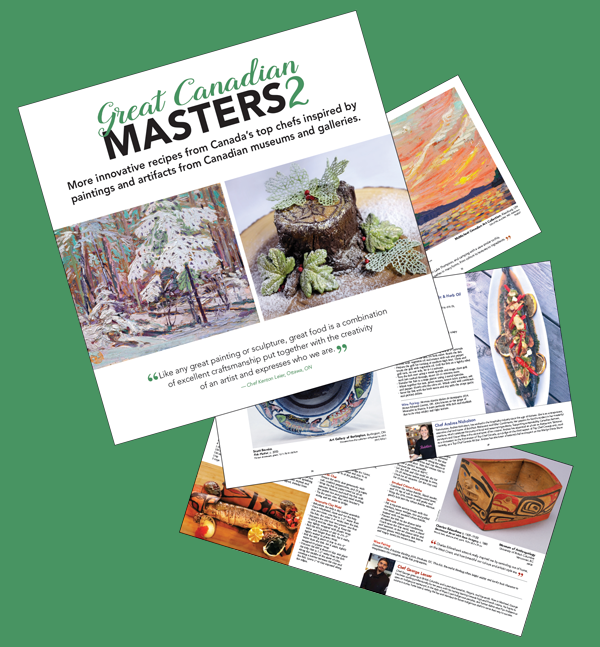 Now in two editions, Great Canadian Masters and Great Canadian Masters 2 provide dedicated foodies with beautiful culinary challenges worthy of the artworks they reflect. Please note: This book is not available in French. Great Canadian Masters is back in its second edition. 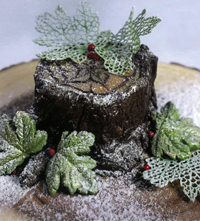 "Art and food are not just the obvious visual and taste. They spark emotions, memories and opportunities." Price: $25 + tax and flat-rate shipping. Purchase now! Don’t have the original Great Canadian Masters, complete your set by purchasing both books and save $5!